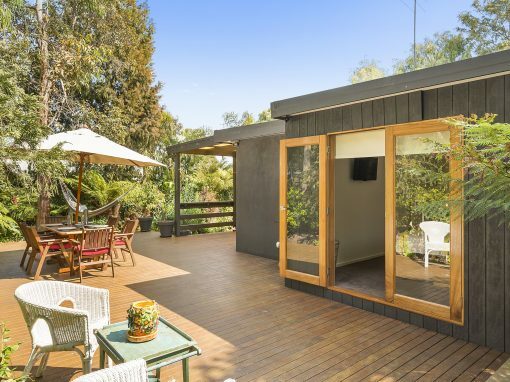 This superb accommodation built on five separate levels has everything you need for the perfect family holiday. 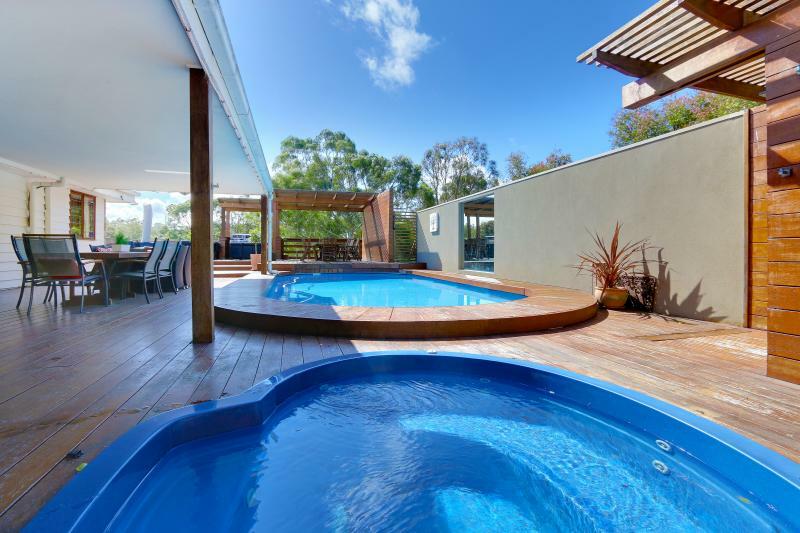 Hopes Rise benefits greatly from being our family home for the past seven years and as such it provides a very well equipped and very comfortable environment. 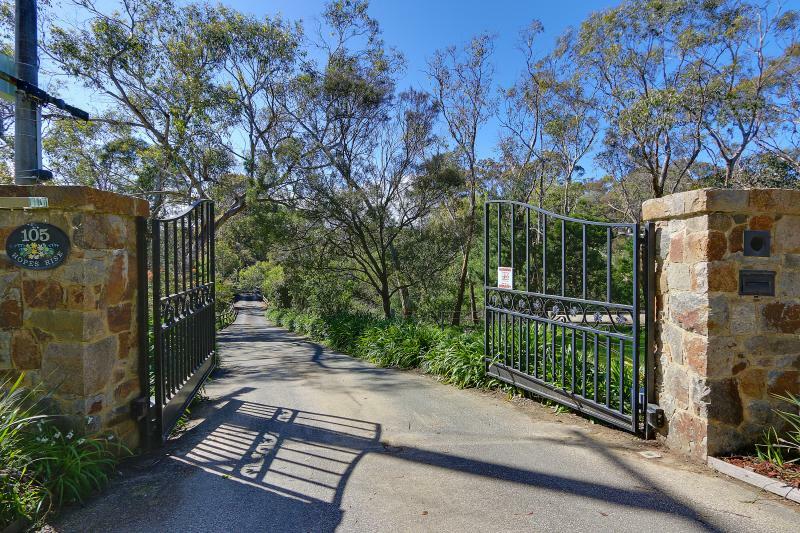 Situated on more than two acres of secluded grounds accessed by a long tree lined asphalt drive way. 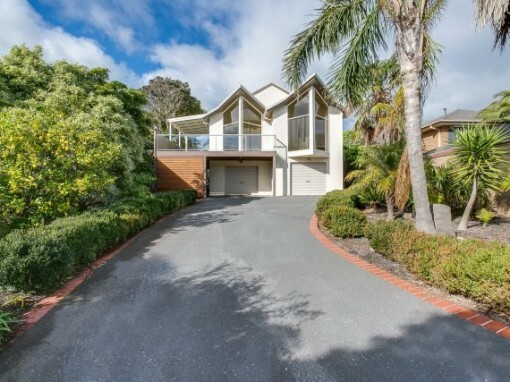 Ample car parking for several cars/boat. 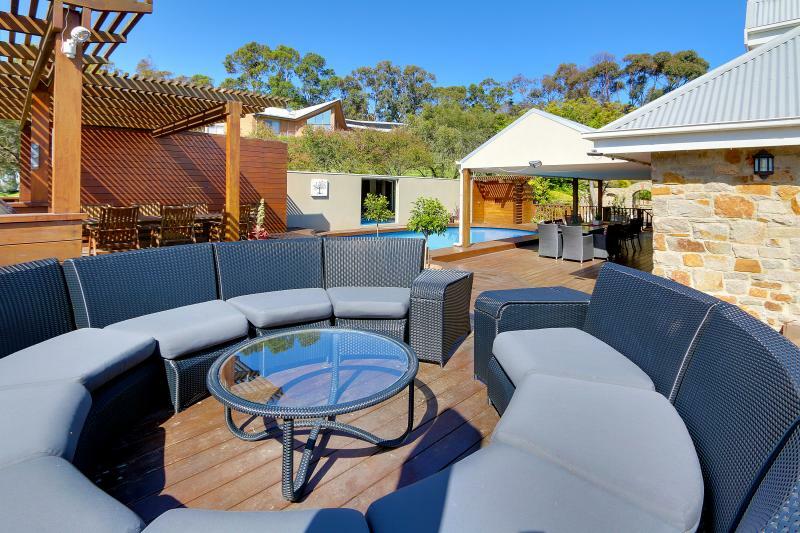 Great location for a family holiday or a golfing holiday with so much available for the whole family to enjoy and also to find their own spaces. 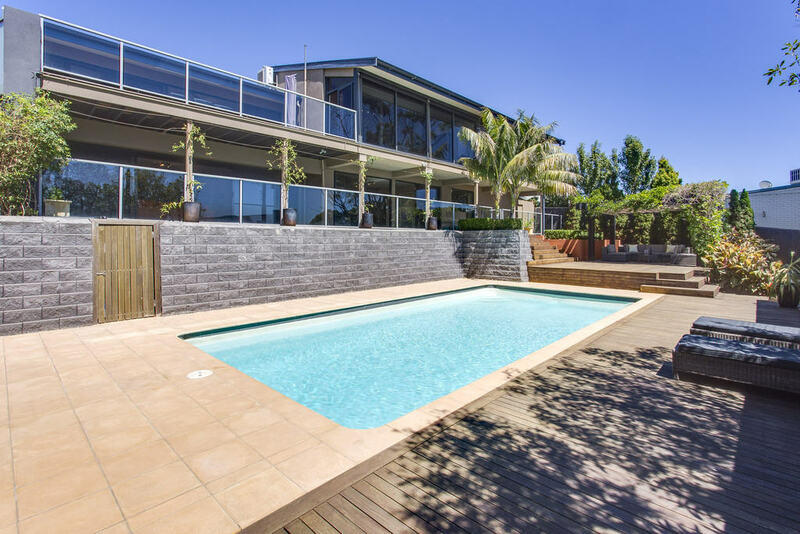 The exceptionally large multi levelled outside entertainment area is built around the pool and spa including fitted poolside shower and toilet facilities. 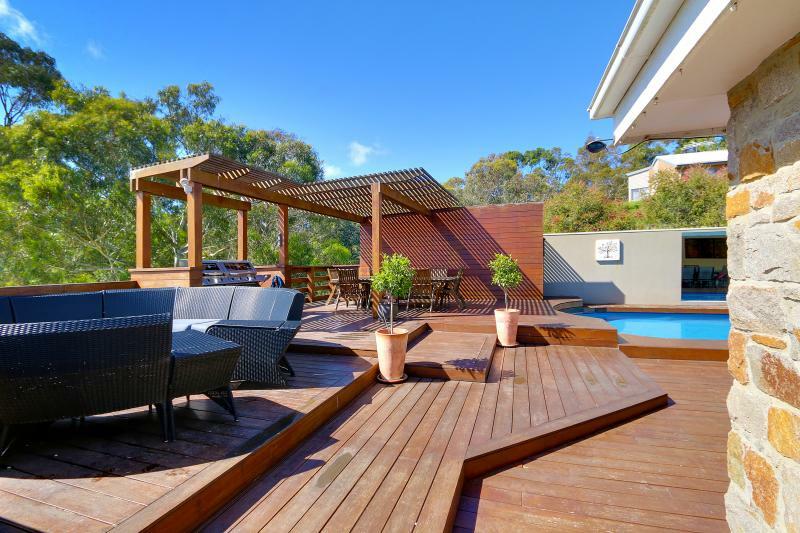 A fully plumbed entertainers six burner BBQ is also supplied. 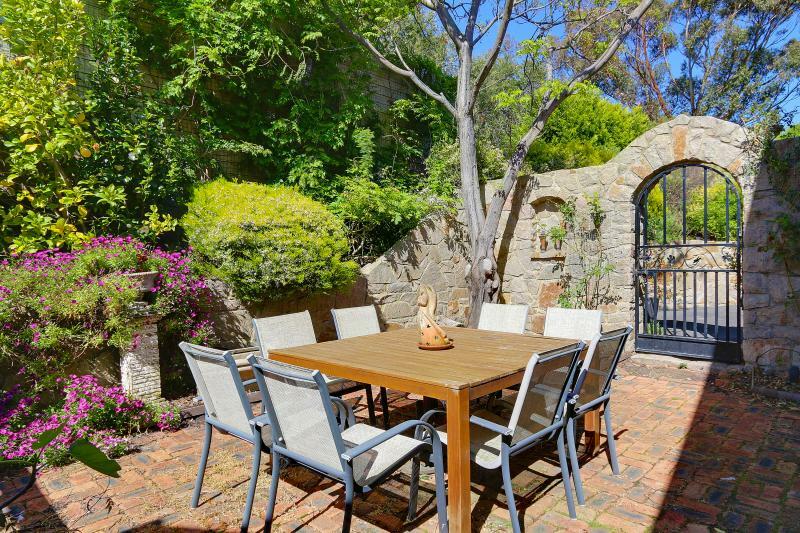 The property boasts a sunken rustic paved Tuscan Courtyard with working chiminea. 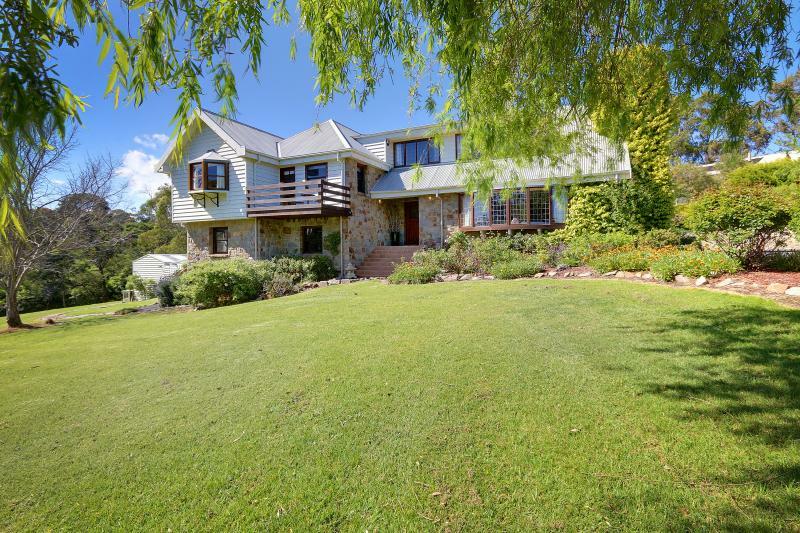 The house has a well appointed Kitchen and Family Room and boasts six Double Bedrooms and four bathrooms two of which are en-suite. 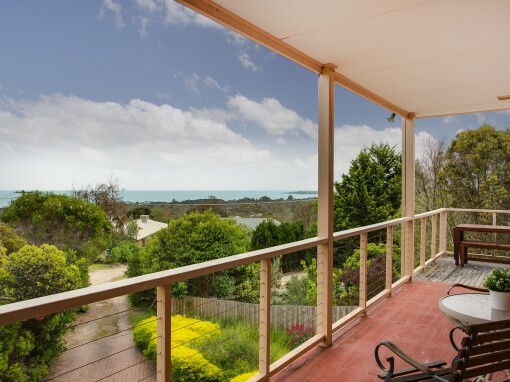 Bay views/glimpses and private garden views. 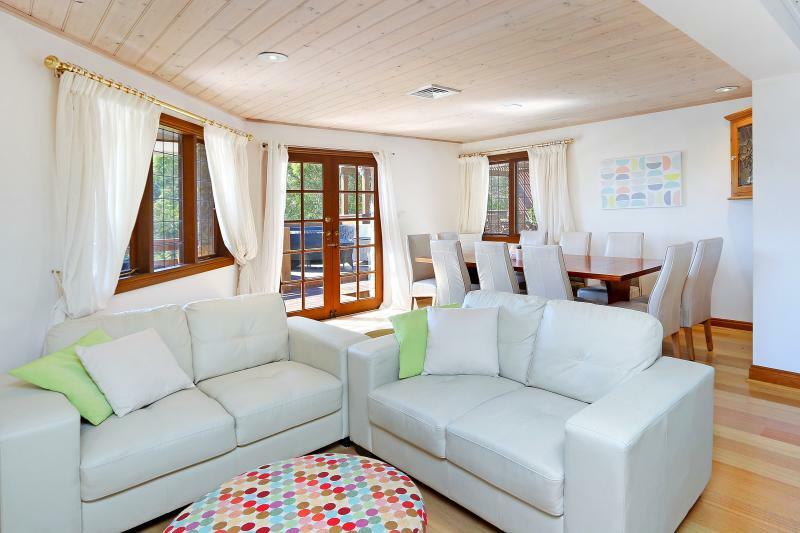 There is a very relaxing Parents Retreat adjacent to the Master bedroom. 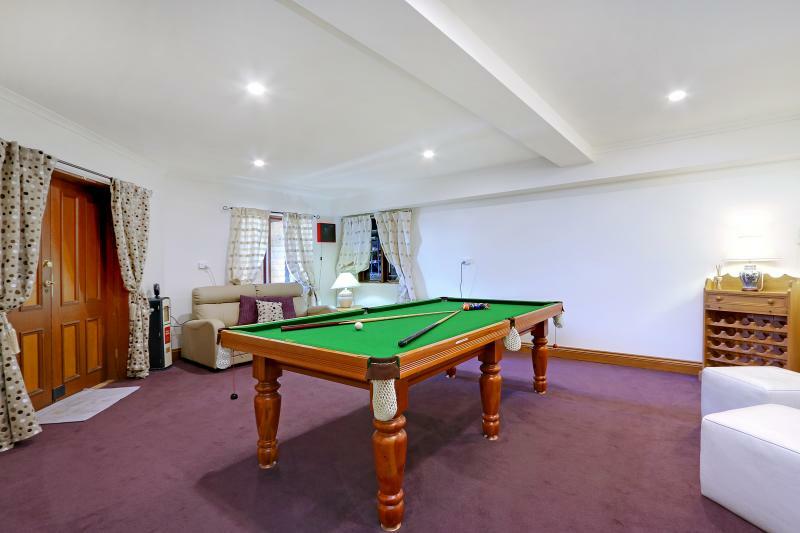 The Games Room has a Pool Table and fifty retro arcade games table including Space Invaders and Pac Man etc. 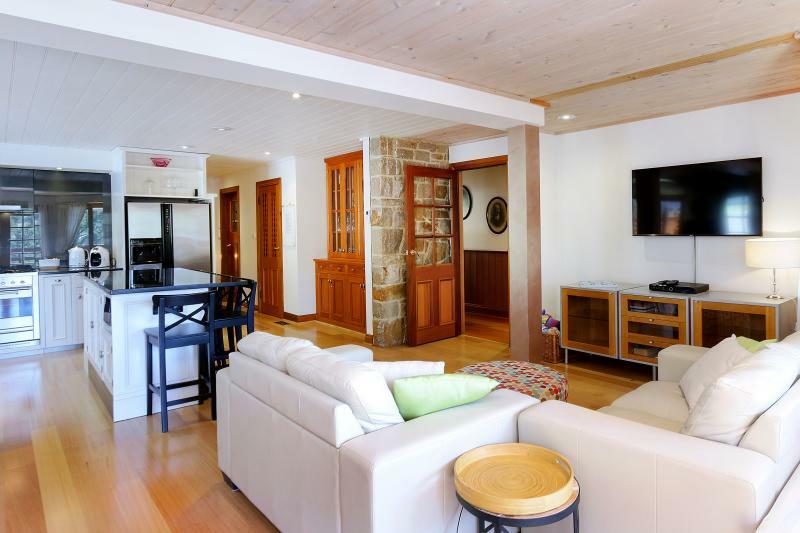 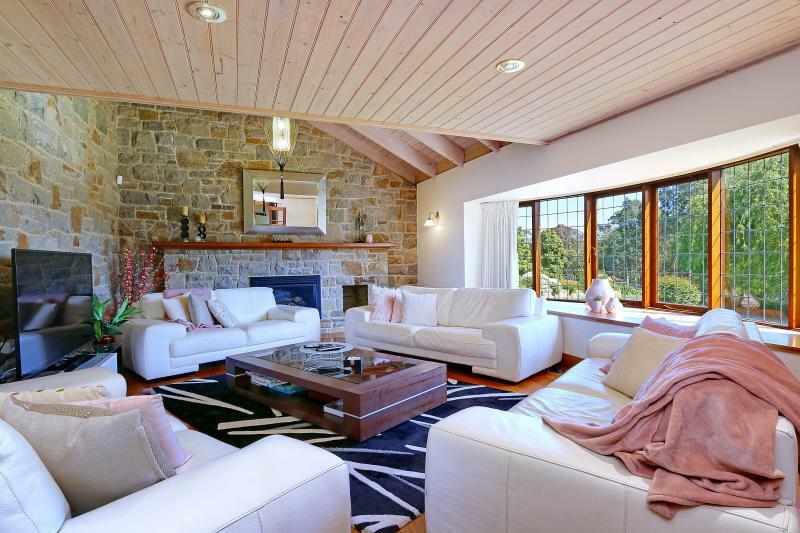 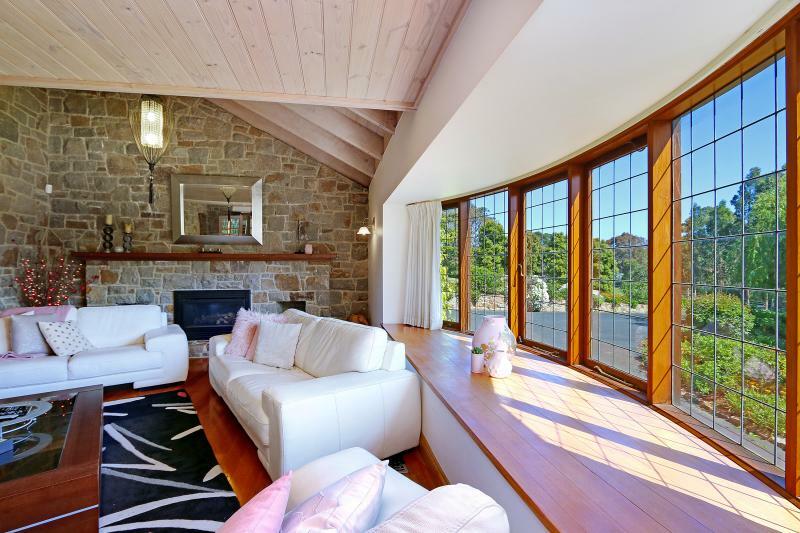 The house is air-conditioned/heated throughout with gas log fire in the formal lounge. 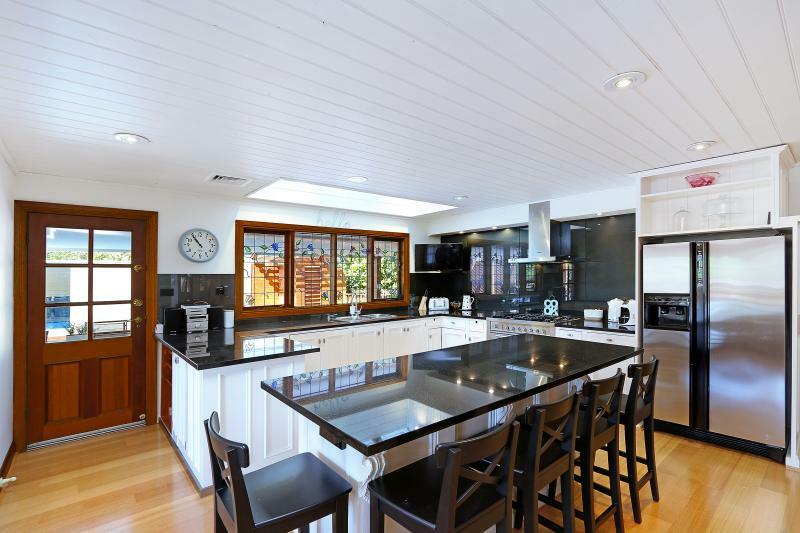 Many Tvs are fitted throughout with two separate Foxtel HD boxes containing Platinum packages. 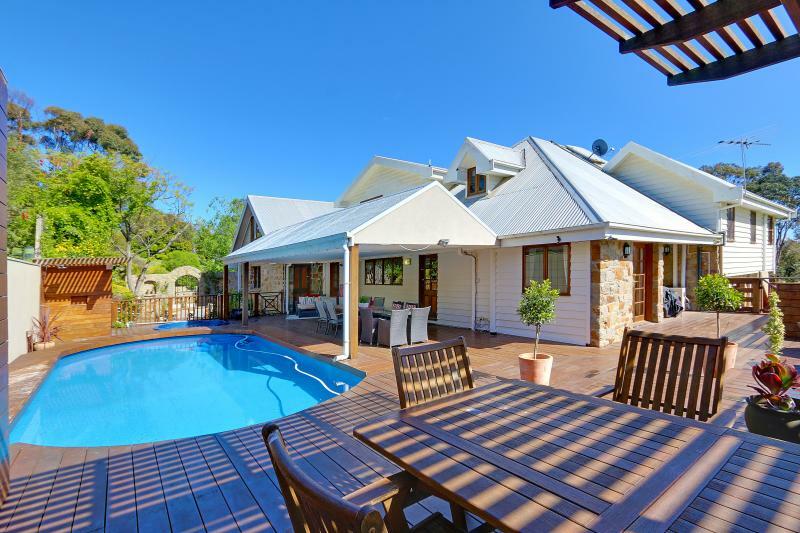 ADSL wireless broadband is also available. 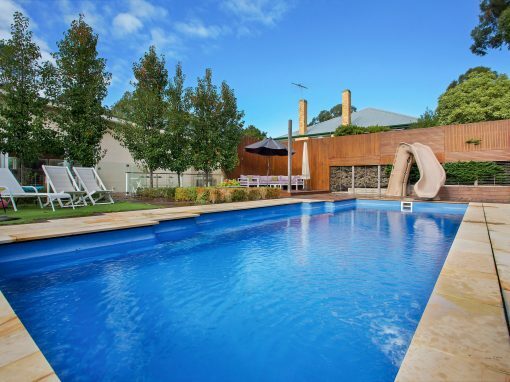 Pets are welcome ONLY by prior agreement and must be kept secure in the Courtyard and Pool area. 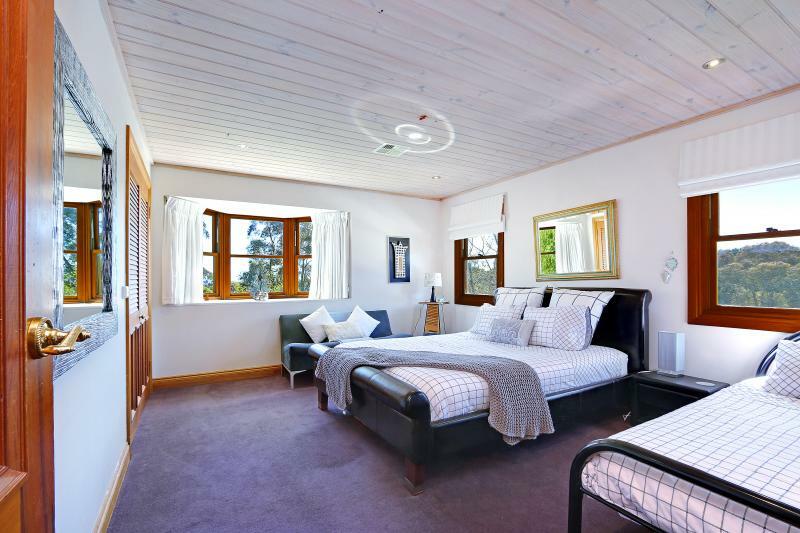 6 Double Bedrooms and four bathrooms two of which are en-suite. 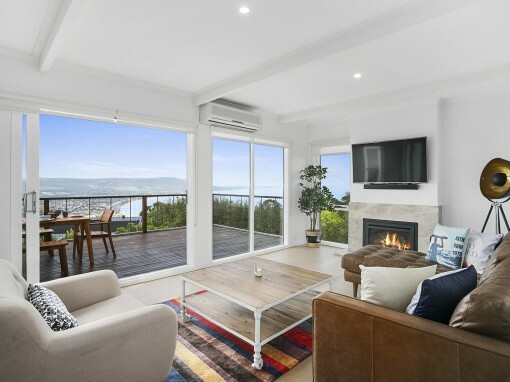 Bay views/glimpses and private garden views. 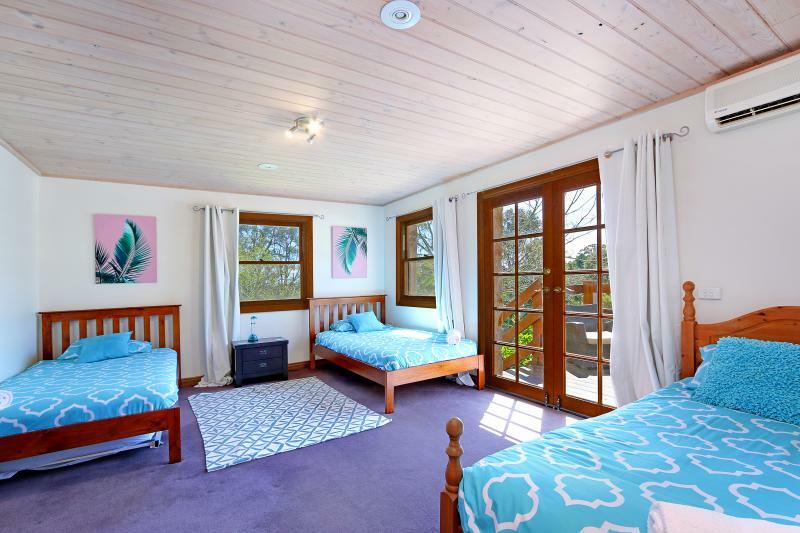 There is a very relaxing Parents Retreat adjacent to the Master bedroom. 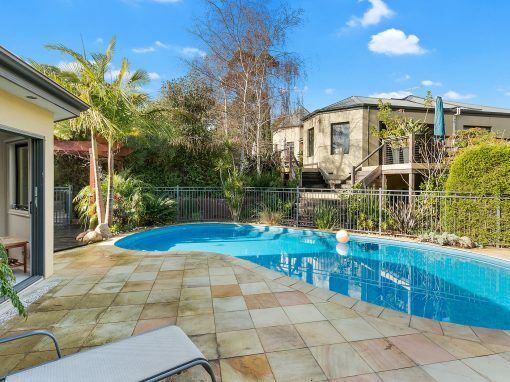 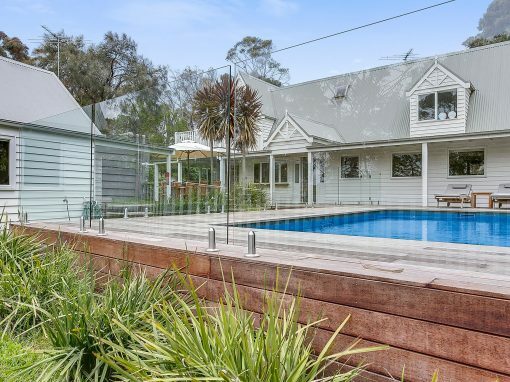 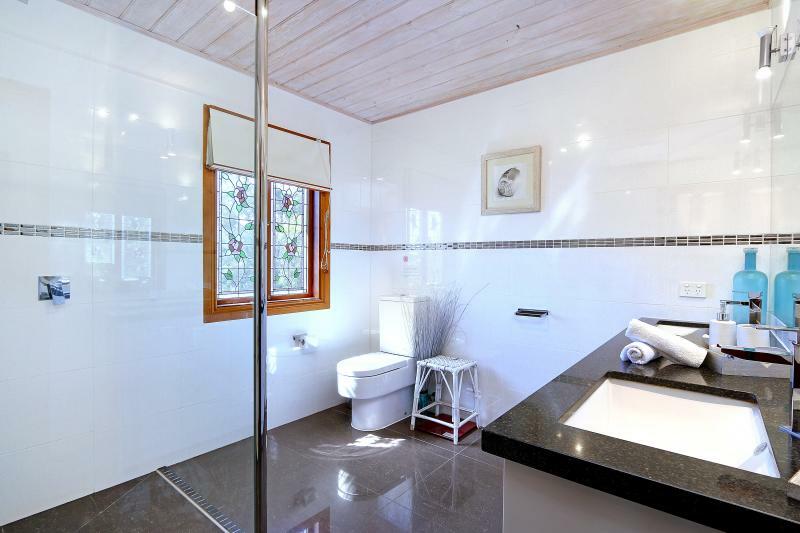 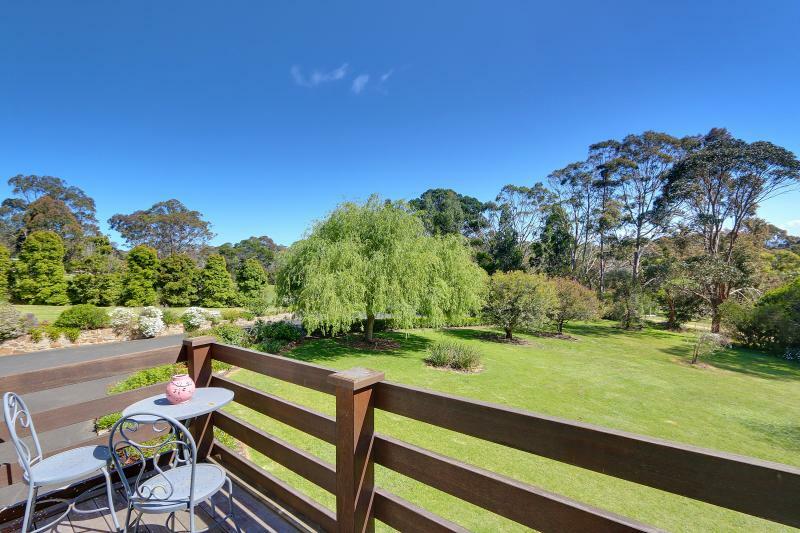 Situated sixty minutes from the City and only minutes from beaches and the picturesque village of Mt Martha as well as the adjoining Mount Martha Golf Course. 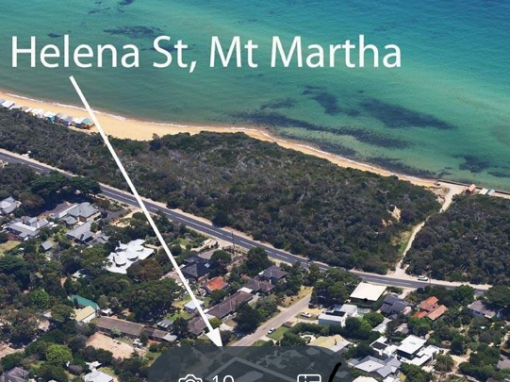 Other iconic locations are easily accessible. 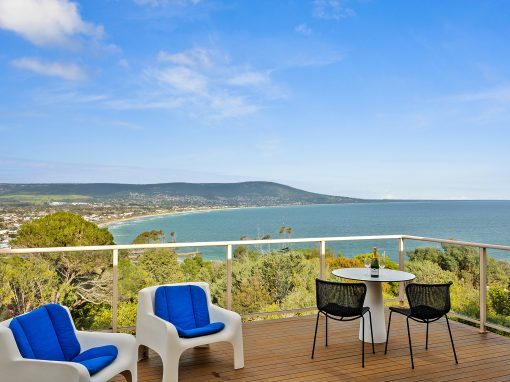 The famous Red Hill Wineries, The Peninsula Hot Springs Day Spa, Martha Cove Marina, Safety Beach, Mornington with it’s famous colourful Wednesday Market, Frankston, Sorrento and the Queenscliff Ferry which will put you onto the Great Ocean Road in less than an hour from departure. 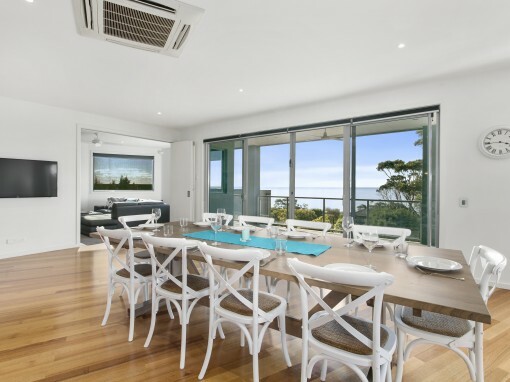 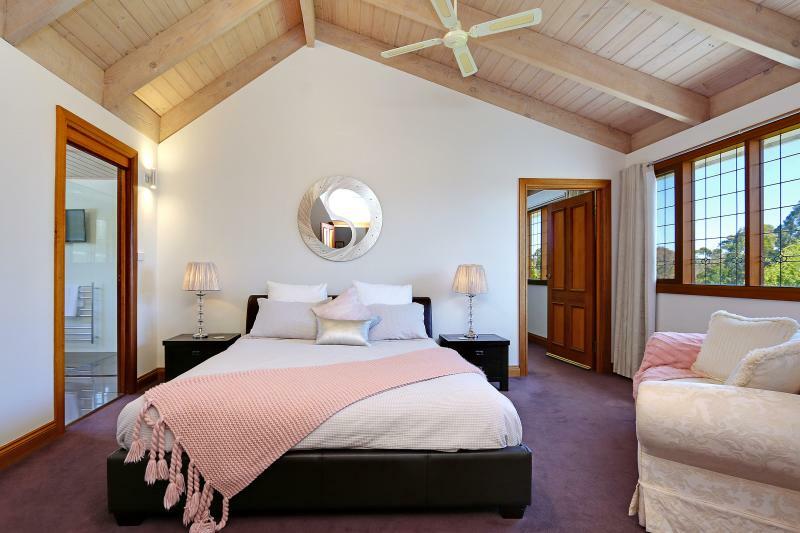 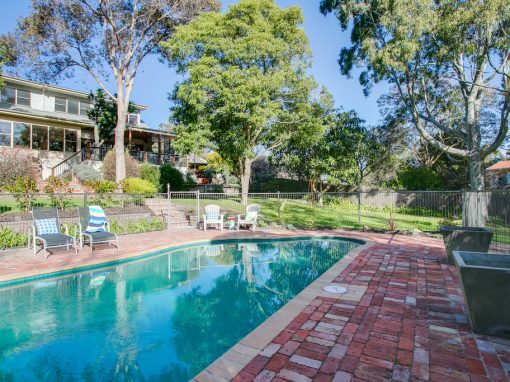 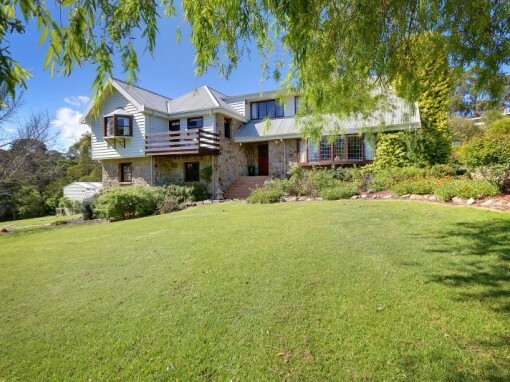 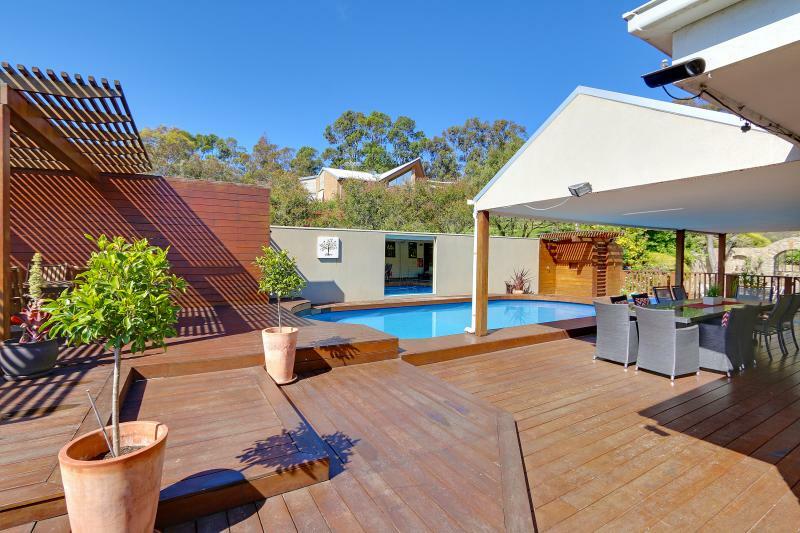 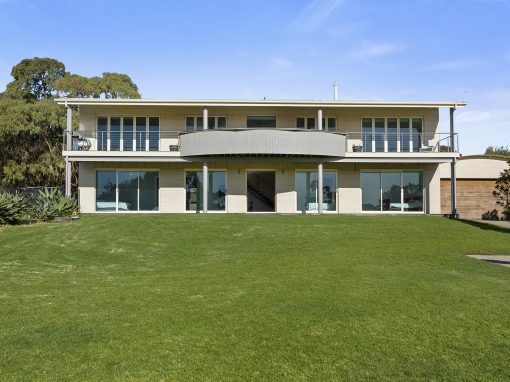 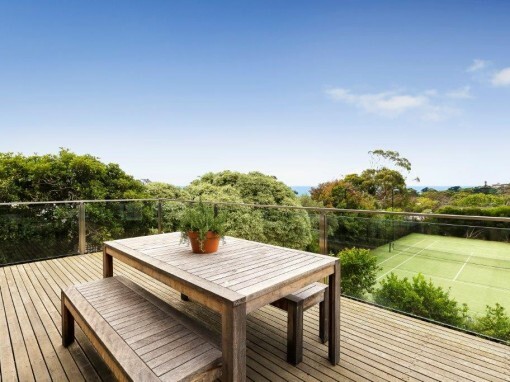 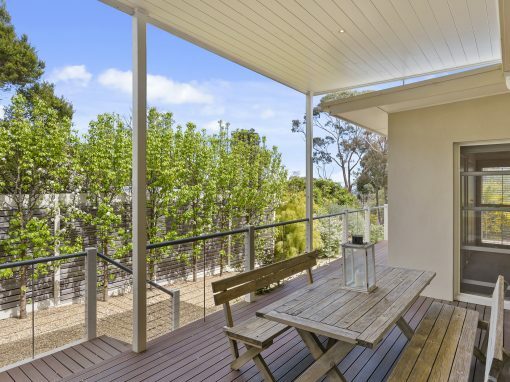 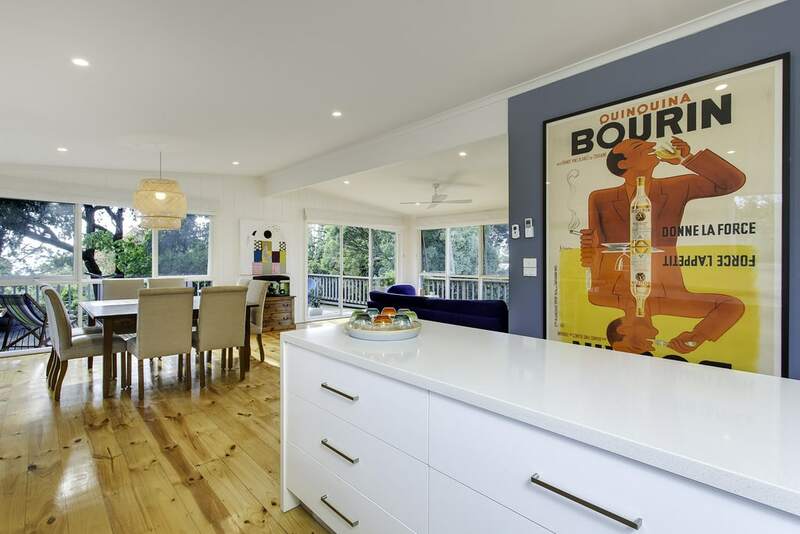 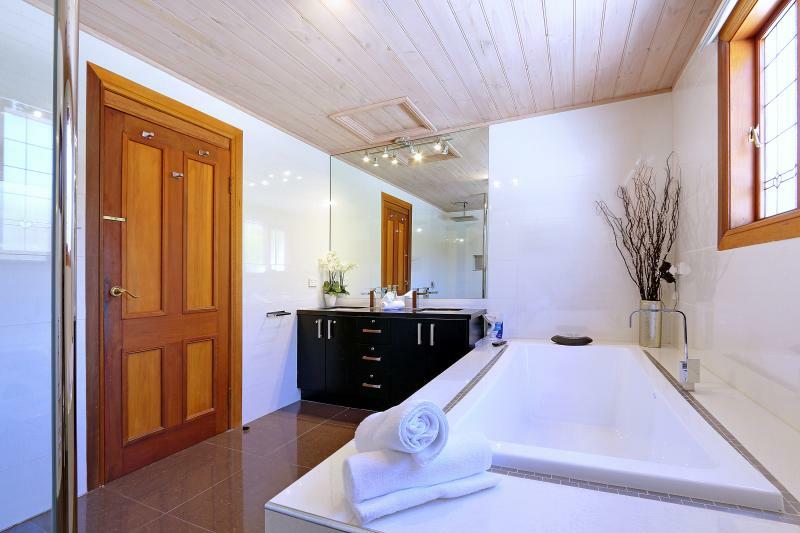 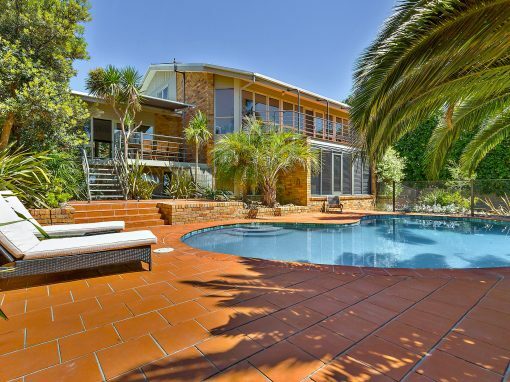 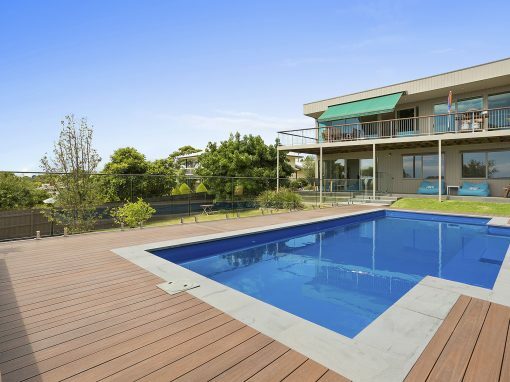 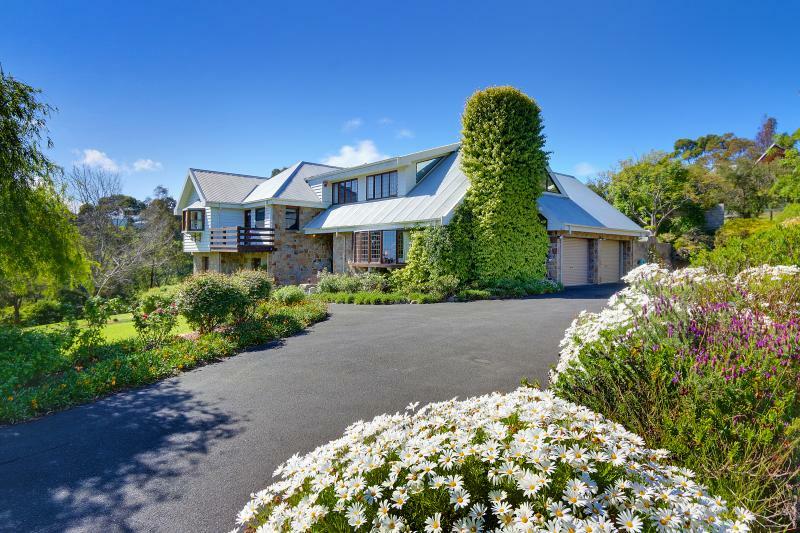 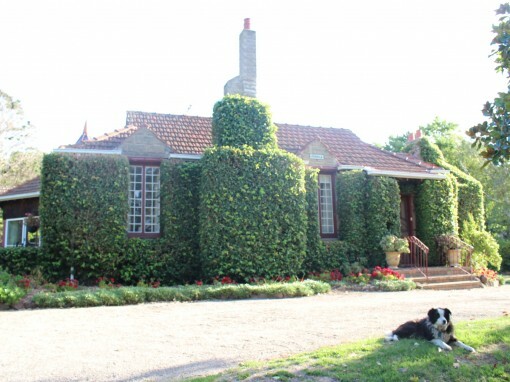 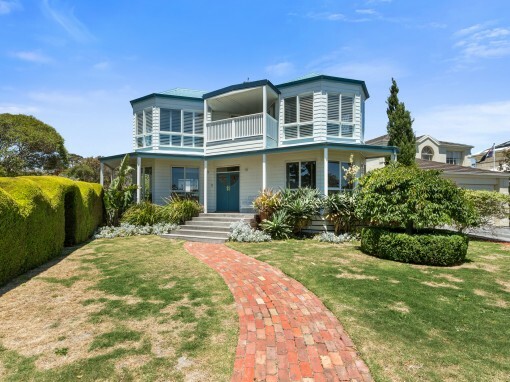 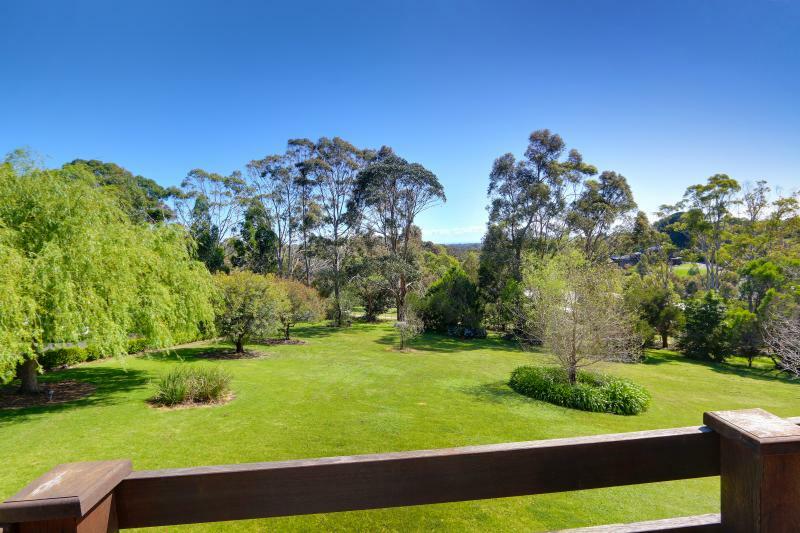 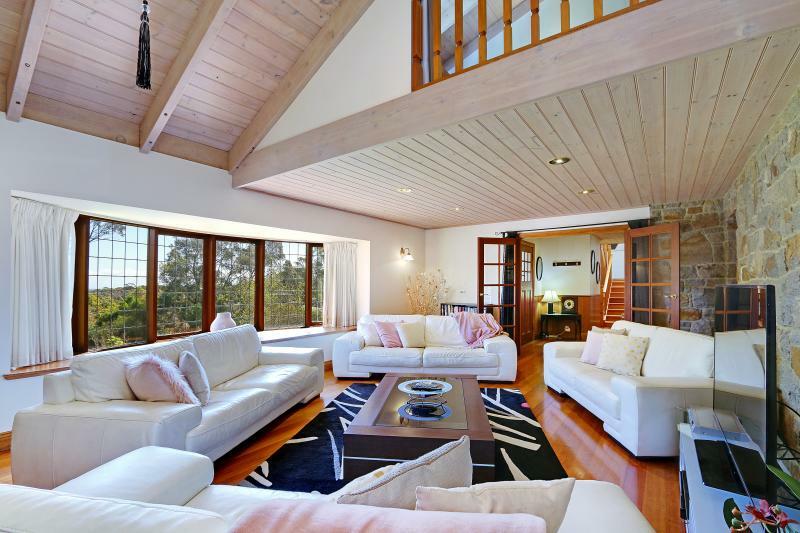 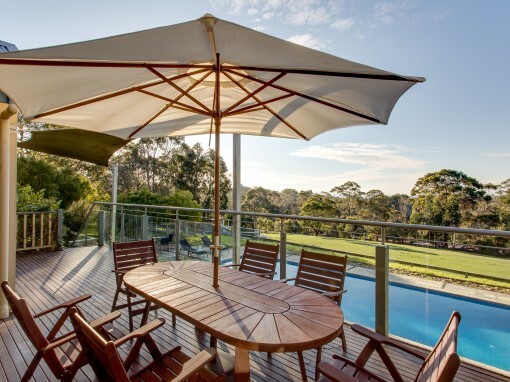 Close to Mornington Peninsula Wineries, Surf Beaches, Coastal Walks, Golf Courses and restaurants.